I am researching my uncle's MTB 614 . He was killed on it under 'surface action' and I would very much like to know what happened. Also, any information on the boats service history. I have uncovered it was sold to Bosham Sailing club at the end of the war, then to the Sea Scouts and moored on the Thames. However I can find no more records! Any help would be greatly appreciated. Thank you. I think she started life as MGB 614 and was converted in Sept1943. Somebody more knowledgeable than me needs to confirm this. ex-MGB 614 details: see MGB 614 51st MTB Flotilla. The following entry is from Naval-history.net - casualty lists - I searched under MTB614 - was this gentleman your uncle? SHAW, Harry, Act/Chief Motor Mechanic 4c, P/MX 98243, MTB.614, 29 March 1944, surface action, killed. Briefly – 28/29th May 1943. MGB 614 in company with 615 and SGB 4 engaged enemy E-Boats off the Isle of Wight. 614 was hit and set on fire in the aft crew space plus her CSA smoke apparatus was hit. Although badly damaged there were no casualties on this occasion. By now fully repaired and although not having Torpedo Tubes she was then identified as an MTB and attached to the newly formed 51st Flotilla operating out of Newhaven. MTB 614 in company with 602, 608, 611, 613 and 615 fought a fierce action with enemy R boats just outside of the enemy held Dieppe Harbour. One R boat was seen to explode but the Flotilla suffered heavily, especially from accurate firing from shore batteries. 12 Killed’, 11 seriously wounded and 18 with minor wounds. An old thread but in searching for information on a picture hung on the wall in the Chichester Park Hotel, that I frequent for work & being an enthusiastic boaty type, this picture had me intrigued. Some googling threw up this thread. Next time I'm at the Hotel I will ask what they know about the picture. 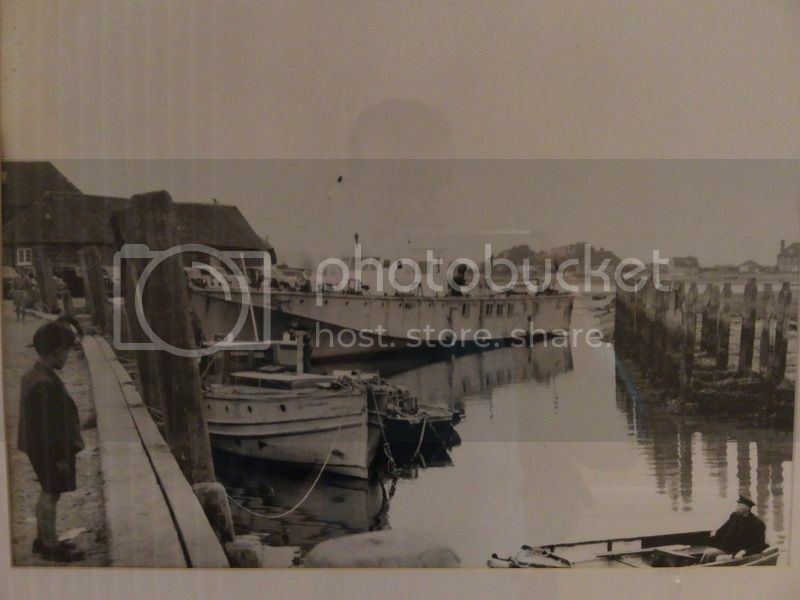 The picture appears to be Bosham Quay which is within Chichester Harbour somewhere I know well, lovely place has a pub with a Submarine door! & a tidal car park. CMtrMch	Harry Shaw P/MX 98243 51st MTB Flotilla MTB 614 Killed in action 29/3/44 aged 30 Son of Harry and Emma Shaw, husband of Enid Shaw, of Solihull, Birmingham. 28-9/5/43	SGB 4, MGB 614 and MGB 615 depart Newhaven following a report of eight E boats approaching the convoy route. They sight the E boats after they have been attacked by aircraft. There is an exchange of fire before the E boats make off. MGB 614 is hit in the after crew space. 28/3/44	MTB 602, MTB 608, MTB 611, MTB 613, MTB 614, MTB 615 depart from Newhaven and reach Dieppe harbour mouth. They encounter a German force of three Vp.-Boats, three Flaklighters and 11 Räumboats and engage at close range. Shore batteries engage them. All boats return to Newhaven severely damaged. Twelve men are killed, eleven seriously wounded and eighteen with lesser wounds. 2-3/8/44	An action between the Second S Boat Flotilla (KKpt. Opdenhoff) and MTB 608, MTB 613, MTB 614 and MTB 680 off Le Havre. S 180 and S 181 are damaged by gunfire. S 167 and MTB 608 collide and are damaged. Doing some research there appears to be quite a few of these still in existence. Most are houseboats it seems, Some even restored, Ive seen MTB 102 at sea & its sounds lovely.